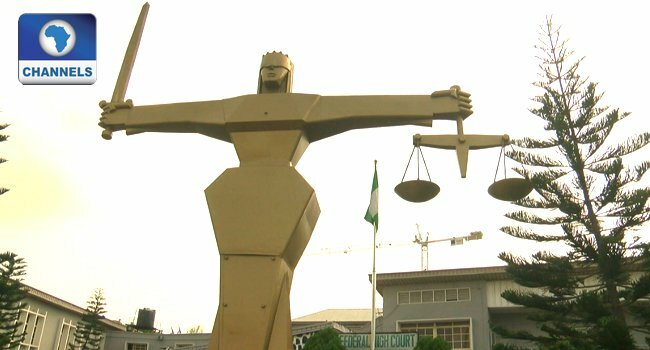 The Federal High Court in Lagos has granted an interim order for seven commercial banks in Nigeria to remit a total of $793,200,000, allegedly hidden with them in violation of the Constitution and the Treasury Single Account (TSA) policy of the Federal Government. Presiding Justice Chuka Obiozor on Thursday directed the banks to remit to the designated CBN Asset Recovery Dollars Account, various amounts allegedly kept in their custody illegally. The interim order was given after the court listened to an ex-parte application filed by counsel to the Attorney General of the Federation, Professor Yemi Akinseye-George. While arguing the application, Professor Akinseye-George said it would best serve the interest of justice for the court to order the banks to remit the funds to the Federal Government to prevent the funds from being diverted, misapplied, stolen or misappropriated. He also stressed that the withheld funds are urgently required by the Federal Government for executing the 2017 budget. After listening to him, Justice Obiozor granted the interim orders. He also directed that the order should be published in a national daily newspaper. In early August 2015, the Federal Government had directed all Ministries, Departments, and Agencies (MDAs), including to make payments into a Treasury Single Account (TSA). The government had expressed optimism that the directive would promote transparency and facilitate compliance with Sections 80 and 162 of the 1999 Constitution. The Central Bank of Nigeria (CBN), Nigerian National Petroleum Corporation (NNPC), Nigerian Ports Authority (NPA) and Nigerian Maritime Administration and Safety Agency (NIMASA) were also affected by the policy. Other agencies include the Security and Exchange Commission (SEC), Nigeria Communication Commission (NCC), Federal Airport Authority of Nigeria, (FAAN) and Nigeria Civil Aviation Authority (NCAA) among other government agencies.